Suzy and I enjoyed seeing John Oliver at the wonderful Art Deco Fox Theater on New Year’s Eve. He didn’t disappoint, and it was a great way to ring in the new year. You can see some of my pictures of the evening here. You can find some photos here from the “Garden Lights, Holiday Nights” exhibit at the Atlanta Botanical Garden, taken earlier this month. Happy holidays! I wanted to add a post with all the links from our trip. After nearly a month on the road, we closed out our trip in Hong Kong. Suzy and I were last there over 20 years ago, when it was still under UK rule. Much has changed since then, but it is still a dynamic and vibrant city. Victoria Peak provides one of the most stunning vistas of any city in the world. We stayed right on the waterfront, and the girls really enjoyed the nightly Symphony of Lights. Hong Kong was a perfect way to cap off our trip to China! We were thrilled to travel next to Shanghai – a city where none of us had ever been. What an exciting place! It provided a combination of old an new. Whereas in other parts of China, we saw much relating to the dynasties dating back thousands of years, in Shanghai the most fascinating points of interest concerned the 19th century and the first half of the 20th century, prior to communist rule. 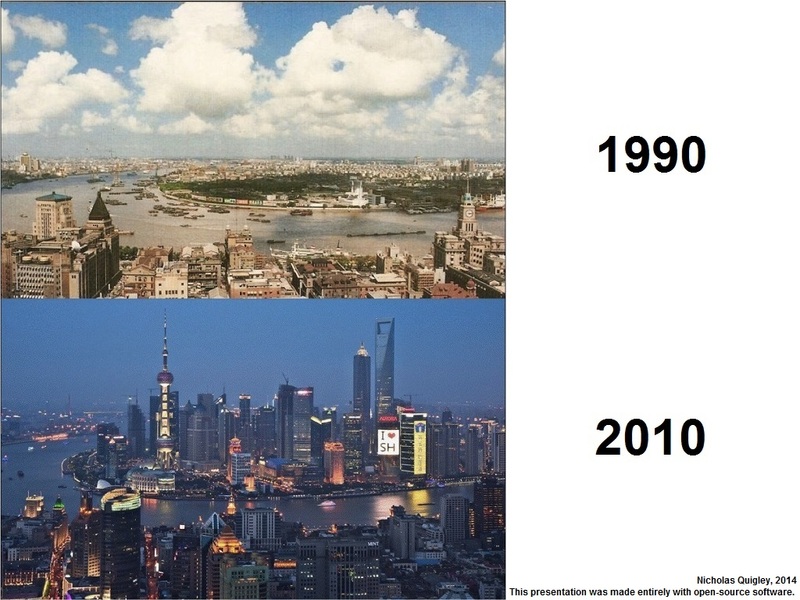 Of course, when most people think of Shanghai, they think of the gleaming modern 21st century city. And much has been made of how recent most of the development has been, as shown here. It did not disappoint, as it is one of the most cosmopolitan cities I have ever been to!